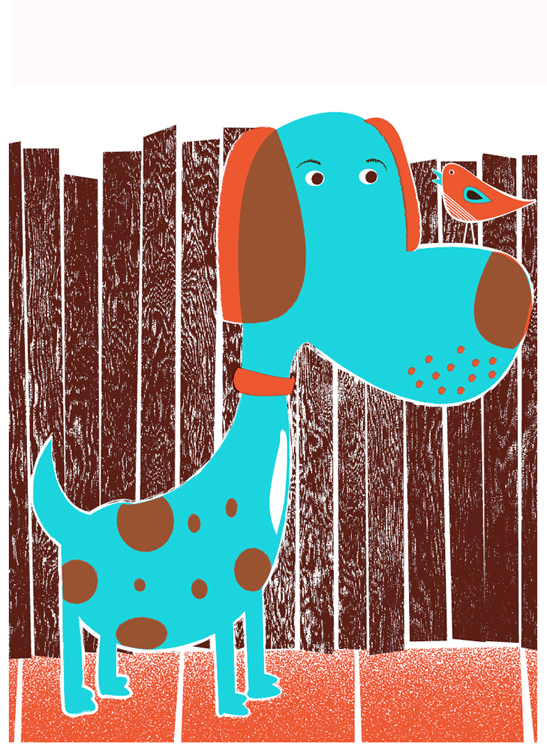 Bird Dog & Bird hand screen printed, limited edition art print. 4 color screen print. 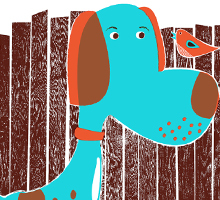 Utilizing the super fun overprinting silkscreen technique of layering 2 inks to make a new color, here you see orange overprinting teal blue to make a a lovely dark caramel brown everywhere that the 2 colors overlap. Overprint Magic!